Got a Wintec motherboard with Atom D425 onboard. Replaced a processor (BGA) to Intel Atom D525 (SLBXC) but had no luck starting the board because of some BIOS obstacles. I have continuous beeping while running without memory. I also tried different DDR3 memory modules - nothing. It is being stuck while running POST. I tried flashing BIOS from ASUS AT5NM10T-I mobo with similar configuration (ITE SIO, NM10, D525) and voila! It works, splashes ASUS logo and shows "Press F1 to continue... etc" but keyboard doesn't work because of different SIO models. Original BIOS manufacturer is Phoenix. I researched it and found the same microcodes as those present in ASUS AT5NM10T-I. 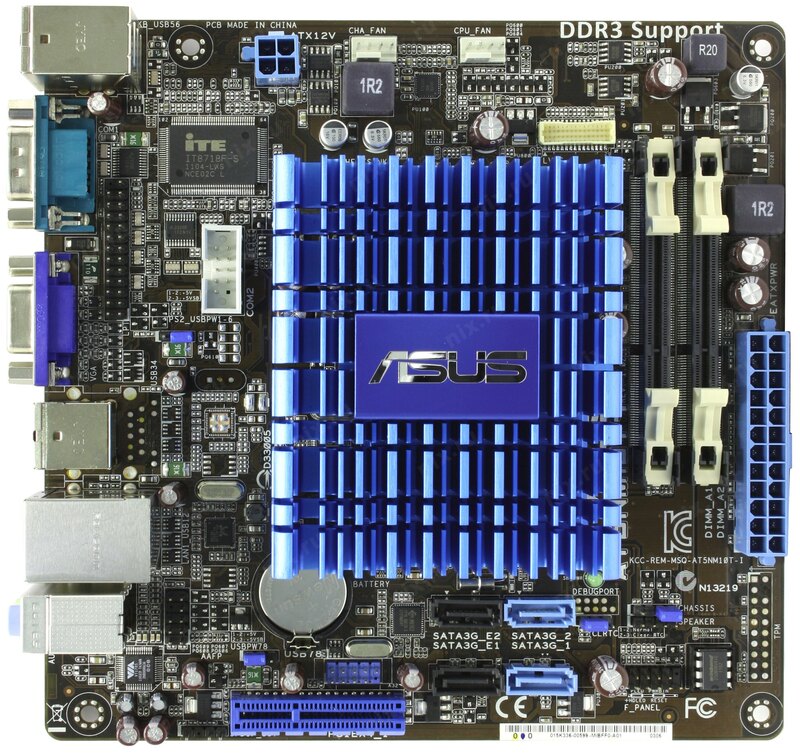 I don't really know what BIOS module may cause my Wintec mobo not to work with its original BIOS. Can somebody please help me? Uploaded original Wintec BIOS dump and BIOS image from ASUS AT5NM10T-I. I can try soldering POST indicator to LPC BUS to see the POST codes. Maybe actual stopping POST code may help to find out what BIOS module is wrong or incompatible. (04-25-2018, 06:03 AM)Svyatpro Wrote: [ -> ] Anyone looked? This is not Intel board, this is WINTEC board. WINTEC in an embedded hardware vendor. I looked, but can't even unpack. The USB keyboard is worked with ASUS bios ? Which your SIO model and revision ? No, USB keyboard didn't work properly with ASUS BIOS. My SIO is IT8782F AXS. PhienixTool is able to unpack. Also PhoenixBios Editor successfuly opens it. By default option Legacy USB Support is Auto, and boot after RTCRST# or wrong CMOS checksum is turn on usb keyboard(i checked on other motherboard with this option setting). On ASUS AT5NM10T-I, SIO is IT8718F-S and both have same LDN=5 for KBC(keyboard) Configuration Registers and many common Registers, set Global Control Registers 0x29 bit 6 do also function. Yes, PhoenixBios Editor can open/save this bios file with some not critical warnings.